I have decided to offer my 16v for sale, after 8 years and about 40k miles of happy ownership. 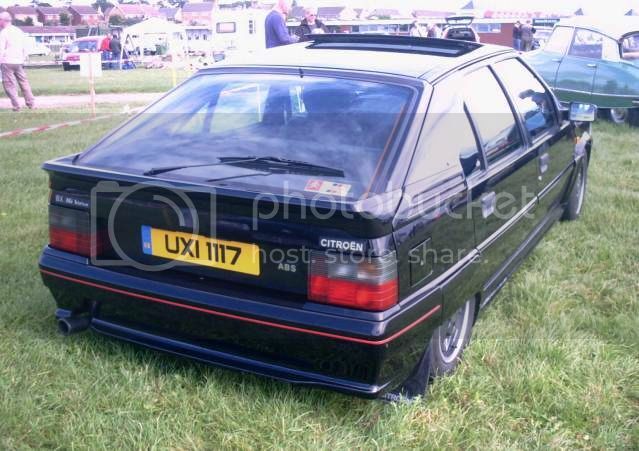 It's a black 1990 ph 2, first reg in Feb 1991, with Monza interior. This car has been in daily use (as my work commute) until the end of June this year, when the MoT ran out. Tax runs out at the end of September. It has been properly maintained and annually serviced by B.L. Autos at Welwyn Garden City. Last service (with cam belt change) was June 2011. I have a full service record in my ownership, and a pretty good one from before. The odometer reads 101,300 miles. The car has in fact done about 106k miles, as I have spent about half of the last 2 years with a broken upper speedo cable. When it recently broke for the third time, I decided to leave it, and use a TomTom to see my speed. The car would need welding for the MoT at the front ends of the inner rear arches, seen when you open the rear doors. One side actually has a hole now, and I'm told it's too near the rear seat belt anchor point to pass as is. I have twice before done big repairs to the body, and have run out of steam now, although it remains a decent car. Previous repairs were to the front suspension turret areas, and upper inner rear arches, above the exhaust and above the smaller fuel tank, so these areas are sound, and there is no rust round the front screen or in the A post/front door hinge areas. There is a damaged area on the rear bumper, where I reversed into a low wall. It could be repaired, or I have another rear bumper available, though it would need to be painted. There are lots of stone chips on the bonnet & front bumper, and on the rear wheel arch spats. It needs 2 new front tyres. The front passenger window is sometimes lazy, I think there is a cracked wire in the loom as it enters the door. And.... the cables have just parted company from the handbrake lever, I will get the centre console off and have a look asap. Otherwise it's all good! It certainly still drives well. Interior is pretty clean (Monza). Rear arm bearings have been done in my ownership, and the front struts were replaced before I bought it, at about 45k miles. The main lower engine mount, driveshafts and crank sensor have also been replaced by me. It has Belfast registration, which I kept when I bought it, as I thought it gave some identity without being a private plate. The sunroof works, both tilt and slide, as does the central locking, with (only one) plipper. 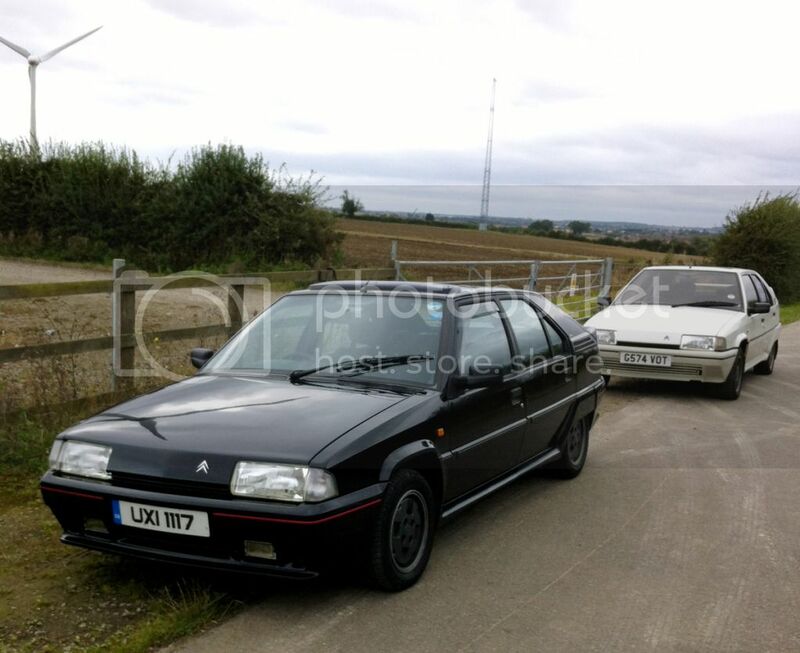 It has a Thatcham category 2 Laserline immobiliser, professionally installed, plus Momo steering wheel (original with the car too), and sunroof deflector and front window deflectors, easily removed if not wanted. There are F & R correct Citroen rubber floor mats. It would come with some consumable spares, namely 2 oil filters, F & R pads, new rear discs & good used front ones, plus a variety of used small electric bits (switches etc). Lots of other (mainly used) spares are available separately, as I have taken bits off 2 scrappers in the past. I had a project idea of installing a higher ratio 5th gear from a BX diesel box, never got around to it but the potential donor box is available free if of any interest. I also have a new clutch & cable, available for a few bob extra. It has let me down only once, with a burst fuel pipe under the car (it had corroded beneath a clip). Replaced with new. Hopefully the link will give you some pics. The paint is not as shiny in real life (as always...). 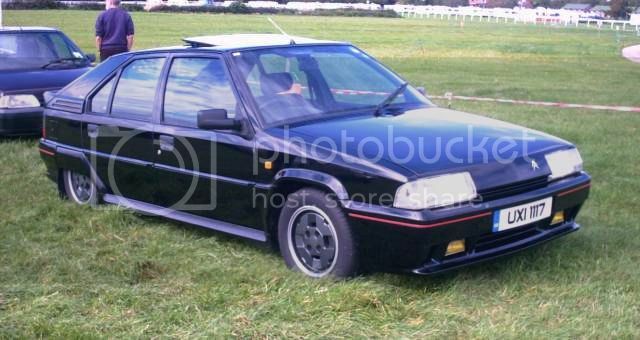 This car is not a basket case, and I'm looking for £650. I'd like the car to go to an enthusiast, so as yet it's not advertised elsewhere. Viewing welcome, I'm in Rutland, 4 miles west of the A1 and Stamford. Any questions, please ask away! Best of luck with the sale. With a ticket and your issue addressed that's a £1200 car, or possibly more I would think. Many thanks, Kitch. Those pics were taken maybe 4 years ago (guessing) at the CCC rally at Stratford. We've met before - I sold you a set of SD1 alloys a while back, and I said if you ever put your car up for sale, I'd be in touch. Well, I'm now getting in touch. My email is kadams@aronline.co.uk - drop me an email and we'll talk about me picking up this car from you. David Cowie wrote: Many thanks, Kitch. Those pics were taken maybe 4 years ago (guessing) at the CCC rally at Stratford. OMG.... Has Queen Victoria died then? The car is now sold, and I'm pleased to say has gone to an enthusiast so it will live on. Many thanks to one and all who showed interest, and there was a lot! This forum is excellent - one of the nicest I have encountered. It's good to hear that it's gone to a good home .